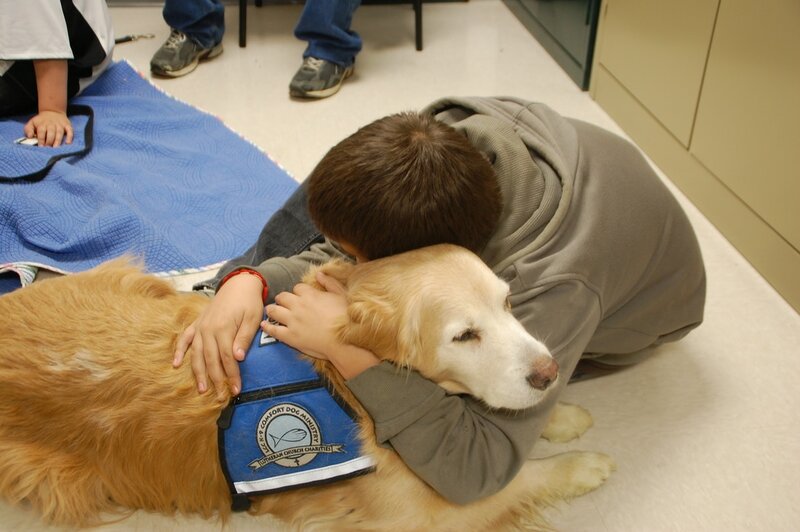 aunched in August 2008, the Lutheran Church Charities K-9 Comfort Dog Ministry is a national human-care ministry embracing the unique, calming nature and skills of purebred Golden Retrievers. The LCC K-9 Comfort Dogs and handlers, Kare 9 Military Ministry Dogs and veteran handlers, and LCC K-9 Police Ministry Dogs and law enforcement officer handlers are a bridge for compassionate ministry, opening doors for conversation about faith and creating opportunities to share the Mercy, Compassion, Presence and Proclamation of Jesus Christ. Trinity’s Comfort Dog Ministry caregivers and handlers will be traveling to Chicago in early April 2019 to train with our dog, which will be the first for the state of New York! We are so excited that through our fundraising efforts, training and community outreach, we will soon be interacting with people at churches, schools, nursing homes, hospitals, events, and in disaster response situations. Stay tuned for updates as we bring our dog into the community! Follow the ministry on Facebook by clicking the Facebook link to the above right. Click here to learn more about Lutheran Church Charities and their canine ministries.